An After Action Review (AAR) is a professional discussion of an event, focused on performance standards, that enables firefighters to discover for themselves what happened, why it happened, and how to sustain strengths and improve on weaknesses. It is a tool leaders and units can use to get maximum benefit from every incident or project. The AAR was developed by the military in order to create an avenue for feedback, promote evaluation and improve unit cohesion. The AAR is now used worldwide by military organizations, governments and private industry. It is considered a valuable tool in high-risk professions where the smallest mistakes can lead to disastrous results. 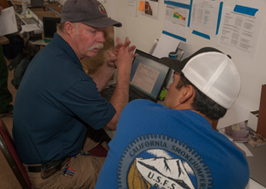 It is essential for wildland firefighters to learn from our mistakes and to capitalize on our successes. The price we pay for failure can be exceptionally high and the amount of effort put into our successes is often left unrecognized. The objective of the After Action Review is to immediately identify these success and failures. Once they have been recognized, further exploration allows the team to perfect it's skills and be better prepared for future endeavors. The After Action Review format can be adapted to a variety of audiences and environments. It takes time to develop, accept, and perfect, so be patient and don't forget to use and share what you learn. Most people (especially young firefighters) want to share their experiences. In order to get things started, try sharing with your crew your positive or negative thoughts related to the day's events. Once you (the leader) have demonstrated that the AAR works and that it will be part of your team's Standard Operating Procedures, the discussion will become more open. The critical step is to tap into your crewmembers' emotions. Finding out what they did is not nearly as important as why they did it. Good active listening skills are essential. Do not immediately solve or correct the issue, but let it play out. Try to get to the root of the problem. Encourage everyone to speak their mind. In order to maximize the AAR, the conversation must have a certain level of candor and allow individual emotions to surface. Remember, this is not the time to reprimand; nor is it time for personal disputes to dominate. Only issues that are related to the team's performance should be addressed. Facilitating an AAR requires patience. Initially it is necessary for the leader to set the tempo. The leader must be a part of the AAR and will have to occasionally accept criticism. This is important because the team will be looking for affirmation of the AAR process. An AAR is performed as immediately after an event as possible by the personnel involved. The leaders role is to insure there is skilled facilitation of the AAR. Establish clear ground rules: encourage candor and openness, all participants have equal ownership, focus on improving performance, and keep all discussions confidential. "This is not a critique, not meant to assign blame. It's an open, honest and professional discussion." This is used to summarize a point that a participant made that may have not been clear to everyone. "So you’re saying you think the helitorch should have started higher up the ridge, and that would have prevented..."
Participants will often blame the "system" for being broken, and that causes failures at their level. "OK, I agree, but that's out of our hands. We still have to live with the fact that this issue places us in increased risk. So, what can we work on at our level to improve?" Bringing Out the Opinion of the "Quiet Ones:"
Some people just don't process through discussion, but they usually are listening closely and when asked have good insights. Wait until a little later in the AAR and then ask them by name open-ended questions. "Well Ken, you were up on the road, what was your perspective on this?" Some people just naturally like to talk. There is also a tendency for a leader to give all the answers. Interrupt them tactfully with a comment like: "I'm concerned we're going too deep into this issue without getting any additional input. Let’s hear from..."
Act somewhat surprised. "Really? Interesting. Are there any other thoughts on how communications went today?" Spur discussion with one of your own observations: "OK, I saw a couple messages that didn't get passed to the folks holding the road. What was the plan there?" Press a bit firmer: "OK, what I'm hearing is that you would do this exactly the same way again?" Finally, do one of two things. If the issue is minor, let it pass. If the issue is important, then you may have to make the point blank observation yourself: "OK. You're saying communications went fine. I saw two specific instances where we were right on the edge of the prescription and that did not get to either Mike or Susan. You're telling me that is not a problem? What would have happened if we didn’t get that bucket drop?" The Japanese say always ask "why" five times. It's a good technique to make sure that you're really getting to the root cause of an issue. "So...the torches weren't ready because they didn't get fueled. And we've heard they didn't have fuel because the fuel cans were on the other rig. Why did that happen?" This is an effective way to get quick agreement/consensus. It is faster than making sure everyone agrees. "Is anyone opposed to moving on to question #3 now?" or "Does anyone disagree that that was the plan, yet this is what really happened?" This technique merges complimentary pieces from different ideas or highlights agreement on pieces of an idea when total idea is not agreed upon. "So is there anything you could add to that suggestion to make it work for you?" or "What could we delete from the idea to make it work better?" Look for a win-win situation with the group. "Does it have to be one way or the other? Could we agree to both?" This allows for a variety of possible responses while inviting involvement and participation. "Why do you think that happened?" or "What could we do differently next time?" This is the AAR format originally developed by the U.S. Army. It is now used worldwide by other military organizations, government agencies, and private industry. 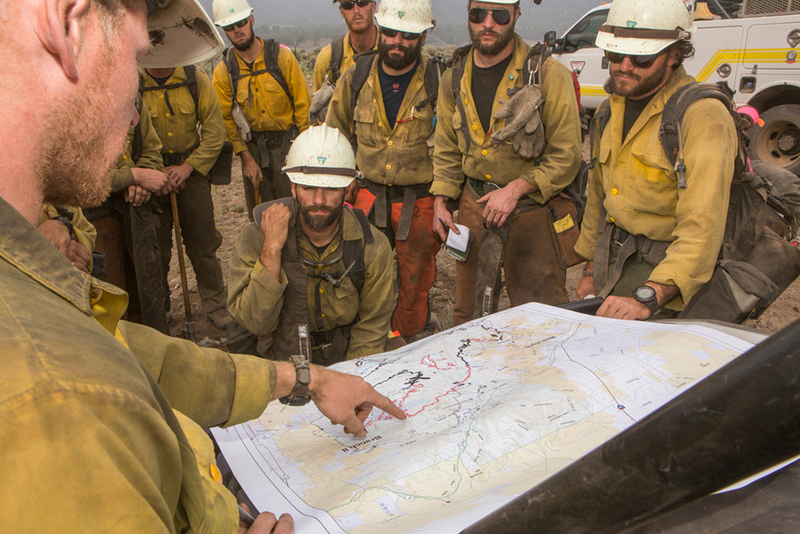 The wildland fire support reference for this can be found in the Incident Response Pocket Guide. Desired "End State" (what does "Right" look like). Pool multiple perspectives to build a shared picture of what happened. Focus on WHAT, not WHO. Provide progressive refinement for drawing out explanations of what occurred. Correct Weaknesses - Focus on items you can fix, rather than external forces outside of your control. Sustain/Maintain Strengths - Identify areas where groups are performing well and should sustain. This will help repeat success and create a balanced approach to the AAR. Have the team form a loose circle. What is one thing that went well on this shift? What is one thing that didn't go well on this shift? What is one thing you would do different next time? Continue around the circle until everyone has had a chance. It may be necessary to place a time limit on each individual (i.e. 30 seconds). Avoid unnecessary discussion (dinner is waiting). Note the comments for future discussion. Sometimes when you have a temporary task group or team that is put together for a specific or one-time assignment the standard format may not work, especially if many of the participants are not familiar with it. In this case, asking three simple "What" questions may provide useful feedback regarding the recently completed activity. What was the team’s main effort or focus for this event? What is the purpose of reviewing this event? What expectations do you have for today’s discussion? Next, gather observations on what actions were effective and what actions were problematic. So what are your general reactions after this event? So what specific things were difficult or created friction during the event? So what positive actions occurred during the event? Finish by identifying any proposed follow-up actions. Now what learning points can we take away from this event? Now what follow up action should happen? Now what aspects should be worked on first? Now what would the consequence be if there is no follow-up action? You may want to dig down into very specific aspects of the event you are reviewing. For example, looking at how risk was managed or discussing how a team integrated concepts from high reliability organizations. What worked the way we wanted it to? What aspects of the mission surprised us? What risks did we predict? Where in the process did we have to make do, or where were we lucky? Preoccupations with failure - Were there any near misses or close calls? Reluctance to simplify - Did we make assumptions that proved to be false? Sensitivity to operations - Were there any communication or coordination problems? Capacity for resilience - Did we have to improvise the plan? Deference to expertise - Did anyone seek help for an unusual situation? P.L.O.W.S. is an alternative to the standard After Action Review emphasizing safety in a learning environment. Information as it pertains to facilitating an AAR in the standard format is still relevant and applicable. Read the P.L.O.W.S brief (pdf); Read the P.L.O.W.S presentation (pdf). A leader's guide on how to plan, prepare, and conduct After Action Reviews (AARs). 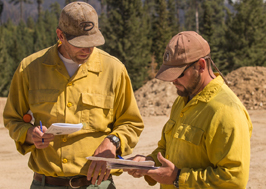 Read this guide specifically designed for wildland firefighters and is referenced in the L-380 Fireline Leadership course. U.S. Army guide to help soldiers and units utilize After Action Reviews to correct deficiencies, sustain strengths, and focus on performance of specific mission essential tasks. Read this guide. US Agency for Interagency Development guide to help their staff work across the partner community to better understand important events, activities, or programs. Read this guide. An excerpt from David A Garvin's book, "Learning in Action, A Guide to Putting the Learning Organization to Work" (Boston: Harvard Business School Press, 2000), pages 106-116. Reprinted with permission of the author. Read this reference. M. DeGrosky, 2005 Safety Summit. "As a vehicle for capturing and learning from experience, the AAR provides an effective tool of continuous learning for the organization. 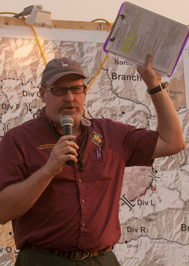 It is within this organizational learning context that this paper suggests ways to improve AAR practice within wildland fire agencies, and advocates three strategic actions necessary to systematically and comprehensively use the AAR process in wildland fire agencies." Read this reference. M. DeGrosky, Wildfire Magazine article. After action reviews go a long way toward improving performance and reducing common error. But an effort to integrate the process into fire operations is needed. Michael DeGrosky addresses this issue and includes tips for conducting effective AARs. Read this reference.